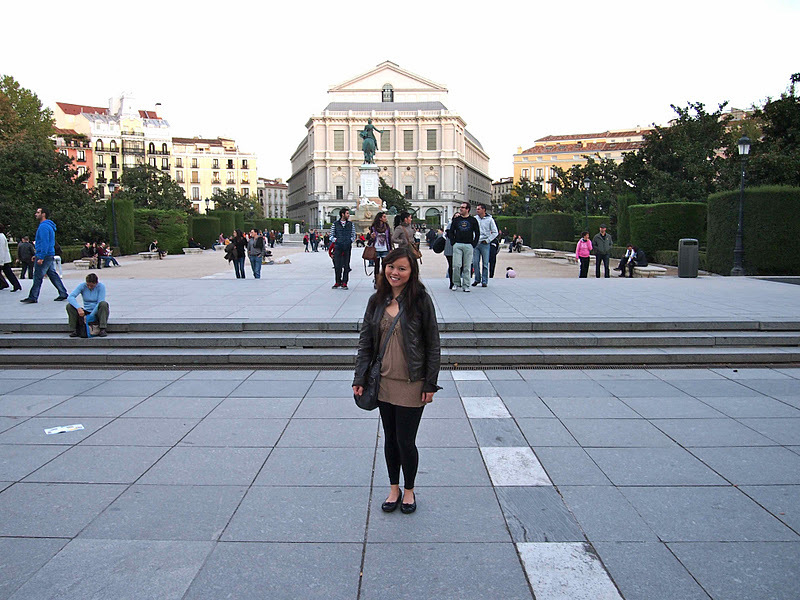 Ola from Madrid! I have been here for almost a week and have been eating all sorts of crazy things. Spain is the land of miniature food which means you get a little taste of everything between sips of sweet sangria or sparkling cava. I'm not sure how everyone here stays SO skinny, because everywhere I look, someone is eating a piece of Iberico ham or something with chorizo sausage on it or beside it. 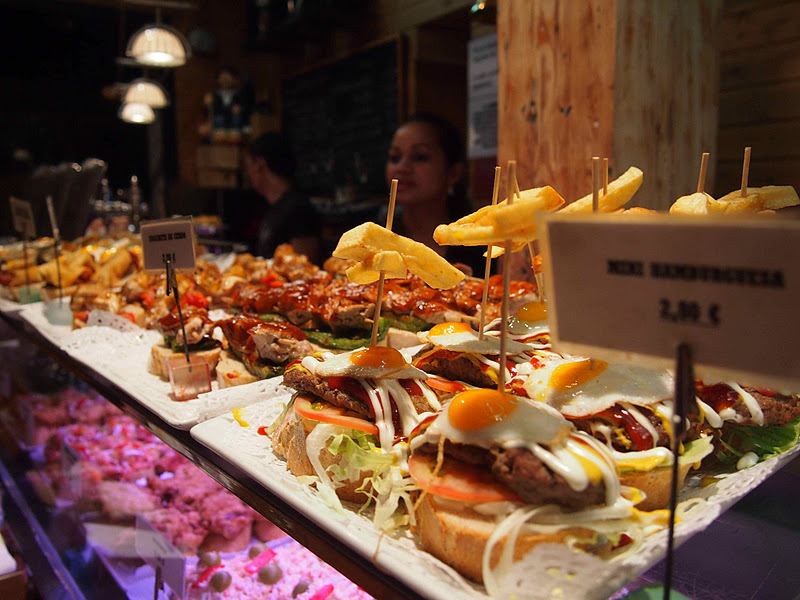 Tapas (small plates of food) will run you only 1-3 Euros a piece, depending on the size and if there's seafood on it. You can easily have a meal of cheese, olives, wine, bread and ham for under 10 Euros. Walking everywhere means you can have more. 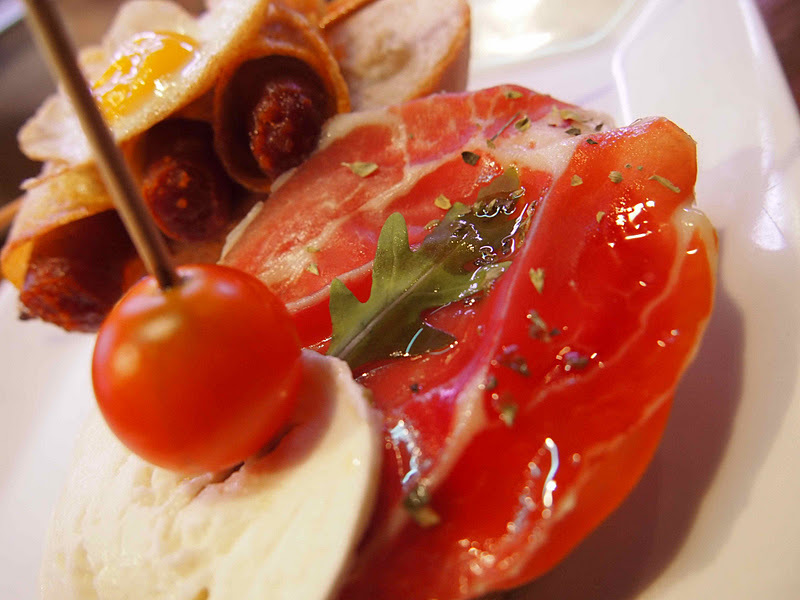 The tapas pictured above is from Txakolina and is located along Calle Cava Baja (#26) - a street lined with tapas bars. We loved this bar because all the tapas were laid out in front of you to pick and choose. 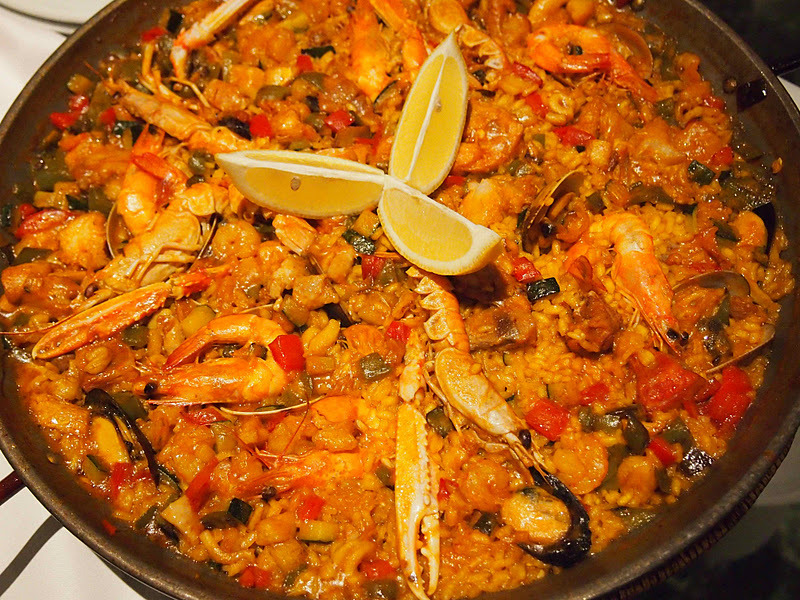 Paella filled with as many things possible - rabbit, mussels, clams, chorizo, shrimp, calamari, shrimp, lagoustines, chicken. What else do you have there in the kitchen? Throw it in here! 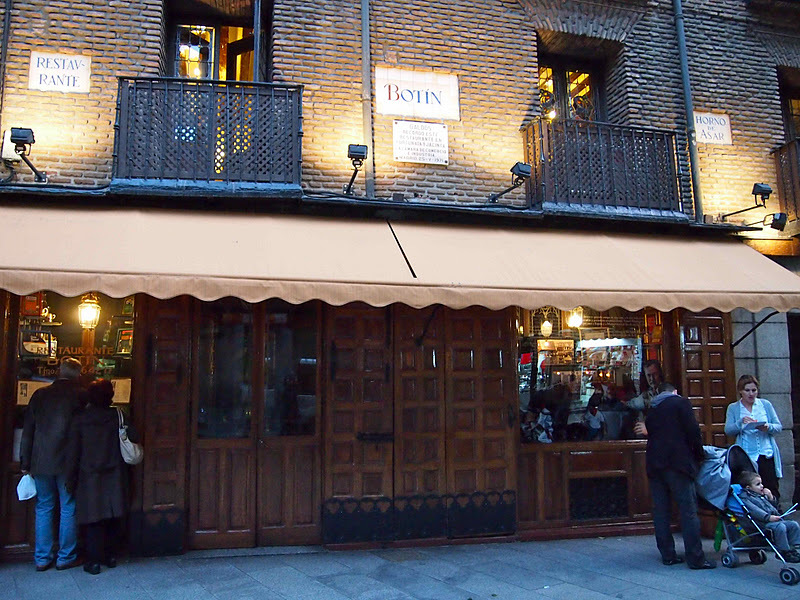 Peeked into the oldest restaurant in the world - Botin. How was the food? Stale! No I'm just kidding. I didn't actually eat there, but snapped this photo. 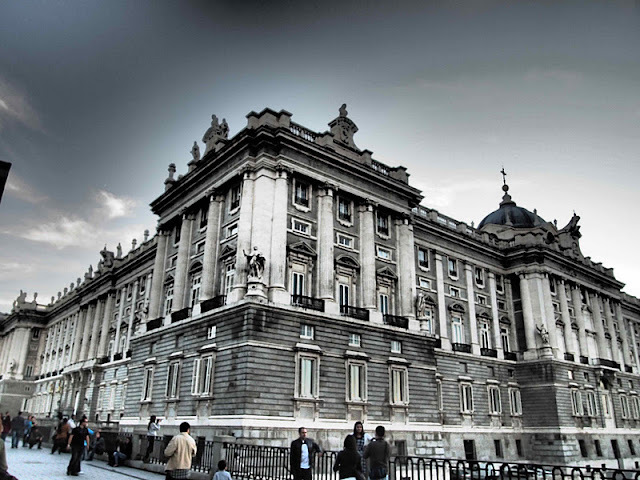 Botin has been in Madrid since 1725 and is actually in the record books for world's oldest restaurant. They are known for their juicy suckling pig and roasted baby lamb. Entrees started from around 22 Euros. 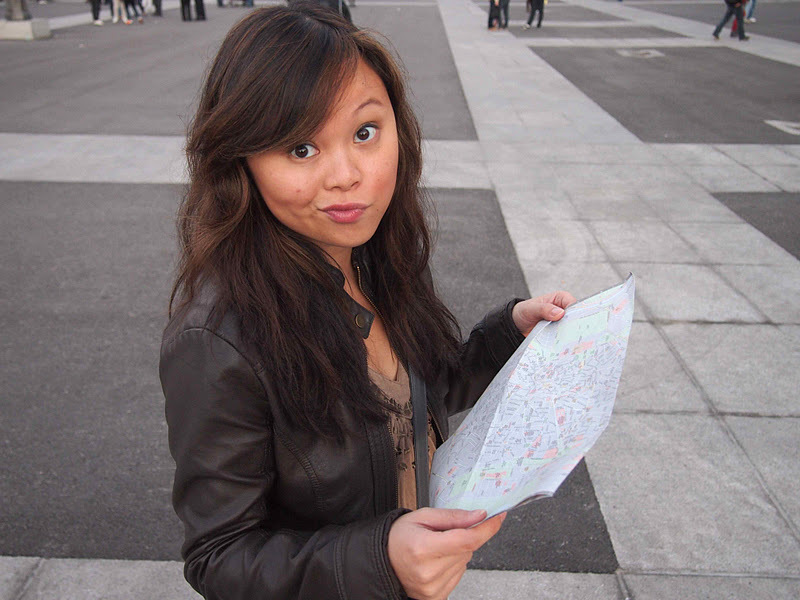 Then I got completely lost... Time for dinner. Feeling somewhat touristy at first, we took in a Flamenco show and dinner at Villa Rosa. Once the dancers started doing thing, we were sure that this was the real deal. 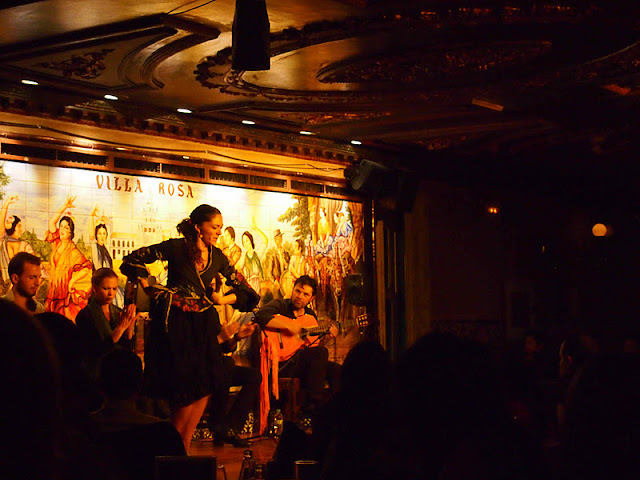 The food was pretty decent and for 10 Euros with dinner, a one hour Flamenco show with a live band and three different dancers was included. How to end a day like this? Chocolate & churros at Chocolateria San Gines of course. 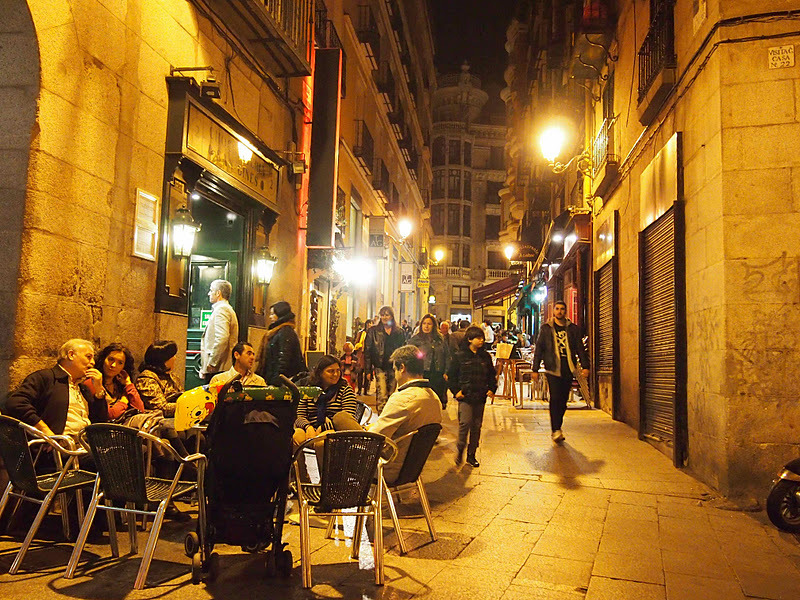 It's one of the most popular stops in Madrid and has been serving this Spanish specialty since 1894. Six churros? 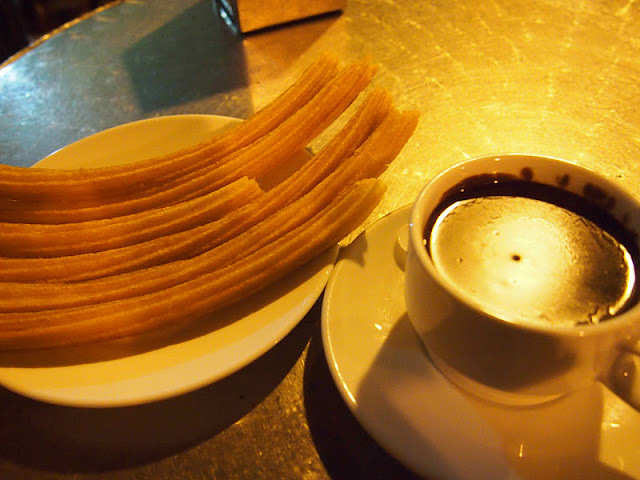 I can't believe they gave me six churros and a cup of liquid hot chocolate for dipping. I thought, "I could never finish all these!" Um yeah, ten minutes later - finito.